Ausdrill-Barminco JV wins $220m mining services contract (0) August 13, 2018 African Underground Mining Services (AUMS) has strengthened its relationship with Roxgold in West Africa with a $US160 million ($219.6 million) contract in Burkina Faso. ESS 3000 Sealing System Serviceability (0) August 13, 2018 Conveyor belts are one of the most efficient methods of transporting bulk materials with a plant. However, all conveyors experience some level of fugitive material. Fortescue Metals Group secure rental of new Liebherr R 996B excavator (0) August 13, 2018 National Plant & Equipment (NPE) have purchased two Liebherr R 996B Excavator’s, one of which has arrived in Australia this month. 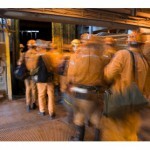 MICROMINE to release updated Pitram Shift Planner software (0) August 10, 2018 MICROMINE is updating its Pitram Shift Planner software to version 2.0, improving integration with the company’s current Pitram solution. Future of Glencore’s McArthur River mine backed by NT EPA (0) August 10, 2018 The Northern Territory Environment Protection Authority (NT EPA) has returned 30 recommendations after rigorously assessing Glencore’s overburden management project at the McArthur River mine in the Gulf of Carpentaria. AusPac and SNR to form JV at Dartbrook coal mine relaunch for $20m (0) August 10, 2018 Australian Pacific Coal and Stella Natural Resources (SNR) will become equal joint venture (JV) partners on the Dartbrook coal project in the Hunter Valley in New South Wales. WA mine resumes underground operations after fire (0) August 10, 2018 Doray Minerals has resumed its underground mining operations at the Deflector gold copper mine after an underground loader caught fire on Wednesday. Alcoa workers take industrial action over agreement fallout (0) August 10, 2018 Alcoa workers in Western Australia have gone on strike over the company’s new Enterprise Bargaining Agreement (EBA) for its operations. Northern Star and Minnovare team up on underground tech (0) August 10, 2018 Northern Star Resources and Minnovare will collaborate on the development of drill and blast technology for use across the gold miner’s Western Australian operations. Condition monitoring catches failure before it happens (0) August 10, 2018 Customer adoption of Hastings Deering Condition Monitoring services is growing at an exponential rate, and as a result, is changing basic fundamentals in the industry. Downer wins $120m Cobar Management contract (0) August 10, 2018 Downer EDI has secured a $120 million contract to provide mining services at Cobar Management’s CSA underground copper mine in New South Wales. BHP to settle US Samarco class action for $US50m (0) August 9, 2018 BHP is to settle a US class action complaint concerning the purchasers of American depositary receipts of BHP in the wake of the Samarco dam disaster in Brazil. Doray Minerals workers confirmed safe after mine fire (0) August 9, 2018 All underground workers at Doray Minerals’ Deflector gold copper mine were safe and uninjured after an underground loader caught a fire broke after midnight yesterday. Altura hauls first lithium shipments to Port Hedland (0) August 9, 2018 Altura Mining has begun the process of shipping lithium spodumene concentrate from Altura’s lithium mine at the Pilgangoora project in Western Australia. Diggers & Dealers: BGC targets coal contracts off back of Boggabri win (0) August 8, 2018 BGC Contracting will strengthen its focus on winning new coal contracts on the east coast of Australia in the coming weeks. Diggers & Dealers: NRW Holdings thrives off Golding acquisition (0) August 8, 2018 NRW Holdings chief executive officer Jules Pemberton has credited last year’s takeover of Golding Contractors as the main reason for a company transformation. Iluka Resources awards services contract to Cater Care for two new sites (0) August 8, 2018 Iluka Resources has awarded national catering and facility management services contract to Australian-owned Cater Care. Australian Mines to commence drilling programs at Arunta West (0) August 8, 2018 Australian Mines have scheduled four diamond drill holes to test the Arunta West iron oxide copper gold (IOCG) ore deposits at its copper-gold operation in Western Australia. Mitsui makes $86m deal with Carpentaria on Hawsons iron project (0) August 8, 2018 Japanese trading house Mitsui has made an $86 million deal with Carpentaria Resources over the Hawsons iron project southwest of Broken Hill, New South Wales. Diggers & Dealers: Fortescue ramps up relocatable conveyor operation (0) August 8, 2018 Fortescue Metals Group expects the relocatable conveyor system it has operating in the Pilbara will replace a dozen trucks once it is fully operational. Diggers & Dealers: Mining services partnerships guide Century mine’s rapid restart (0) August 7, 2018 New Century Resources managing director Patrick Walta jokes that he struggled to get a gig presenting at any of Australia’s mining events a year ago. Diggers & Dealers: BHP reveals 2040 vision for Nickel West (0) August 7, 2018 BHP’s Nickel West business unit is progressing a series of mine developments in Western Australia to strengthen supply for the battery materials sector. Australia’s mining and engineering sector on show at QME 2018 (0) August 7, 2018 Queensland Mining and Engineering Exhibition (QME) 2018 saw more than 4,000 attendees visiting the event to explore the latest strategies and technologies driving productivity, profitability and protection of the industry. New Hope to acquire controlling interest in Bengalla coal JV for $860m (0) August 7, 2018 New Hope Corporation has made a binding commitment with Wesfarmers to double its interest in the Bengalla joint venture (JV) for $860 million. Argosy confirms ‘battery grade’ lithium at Rincon project (0) August 7, 2018 Argosy Minerals has confirmed production of 99.6 per cent purity lithium carbonate equivalent (LCE) from the Stage 1 plant at its Rincon lithium project in Argentina. Diggers & Dealers: Ausdrill seeks expansion under new leadership (0) August 6, 2018 The mining services company, the first to ever present at Diggers & Dealers, is targeting another phase of growth as it prepares to welcome a new leader. Diggers & Dealers: chairman Giorgetta rallies industry to avoid crisis (0) August 6, 2018 Diggers & Dealers Mining Forum chairman Nick Giorgetta believes mining’s skills shortage is just years away from being at crisis levels if more Australians aren’t attracted to the industry. WA listed companies reach highest value since 2011 (0) August 6, 2018 Deloitte’s latest WA Index has shown that the value of Western Australia-based listed companies has jumped to over $193 billion, its highest level since May 2011. Australian Government highlights coal ties with Japan in Honshu visit (0) August 6, 2018 A bipartisan delegation of Federal Members of Parliament has visited Japan to discuss the importance of Australian coal to Japan’s energy supply and economy. CARMA solution produces improved availability results (0) August 6, 2018 REMA TIP TOP’s introduction of polyurethane disc return rollers at a coal handling preparation plant in NSW has seen a big reduction in downtime. Metals X secures $50m placement for Nifty copper project in WA (0) August 6, 2018 Metals X has secured $50 million in institutional funding for the ramp-up of the Nifty copper project in Tasmania. Byrnecut enters service agreement with Ironbark Zinc on Citronen project (0) August 6, 2018 Contract miner Byrnecut Offshore and Ironbark Zinc have entered a memorandum of understanding (MoU) to provide the latter with underground mining contract services. Regis Resources set to expand Rosemont gold mine in WA (0) August 3, 2018 Regis Resources has received board approval to expand its Rosemont operation. An underground mining operation will be developed directly below the current open pit next year. Pilgangoora DFS results support ‘compelling case’ for expansion (0) August 3, 2018 Pilbara Minerals’ definitive feasibility study (DFS) results for the second stage of its Pilgangoora lithium-tantalum project have been released. Public perception of mining at a six-year high (0) August 3, 2018 Australian opinion towards the mining sector is at its highest level in six years according to a new study by independent research firm JWS Research. BMA to collaborate with Sustainable Minerals Institute on new projects (0) August 3, 2018 BHP Billiton Mitsubishi Alliance (BMA) has signed an five-year memorandum of understanding (MoU) with the University of Queensland’s Sustainable Minerals Institute (SMI). Fluor expands BHP South Flank partnership with new contract (0) August 3, 2018 Fluor has extended its relationship with BHP at the South Flank iron ore development in the Pilbara, Western Australia with a project and construction management contract. Universities and mining majors team up for new training centre (0) August 3, 2018 Australian universities are to collaborate with major mining companies on a new government-funded training centre called the Australian Research Council Industrial Transformation Training Centre (ARC Training Centre). AVZ establishes Manono as world’s largest hard rock spodumene deposit (0) August 2, 2018 AVZ Minerals has released a maiden mineral resource for the Manono project in the Democratic Republic of Congo (DRC), establishing the site as a potentially major site for lithium production. Glencore records Australian production falls (0) August 2, 2018 Glencore has released its half-year (H1) production report for 2018, revealing year-on-year (YoY) reductions in gold and copper production at the company’s Australian operations. Saracen Mineral hits record 2.5Moz gold reserves (0) August 2, 2018 Saracen Mineral managing director Raleigh Finlayson is confident the company will reach its goal of becoming a 400,000oz a year gold producer following its recent progress. Northern Star seeks more growth with record exploration budget (0) August 2, 2018 Northern Star Resources’ relentless focus on growth at its Western Australian gold operations has turned to exploration. Rio Tinto lets go of remaining Australian coal assets (0) August 2, 2018 Rio Tinto has completed the sale of its remaining Australian coal-mining operations in Queensland for $3.95 billion. Mount Gibson pushes Koolan Island closer to restart (0) August 2, 2018 Mount Gibson Iron has entered the final stage of the restart program at the Koolan Island iron ore project in the Kimberley, Western Australia. Rio Tinto capex increases by a third, costs up $530m (0) August 2, 2018 Rio Tinto has posted its half-year financial results for 2018, revealing a significant capex increase of 34 per cent and cost hike of $530 million. AuStar pours first gold from Rose of Denmark operation (0) August 1, 2018 AuStar has produced its first gold concentrate from the Rose of Denmark (RoD) underground mine in Victoria. Sedgman wins $US310 million of Ledjadja Coal mineral processing contracts (0) August 1, 2018 Resource Generation subsidiary Ledjadja Coal has awarded Sedgman $US310 million ($418 million) of mineral processing contracts. Paladin Energy makes takeover bid for Summit Resources (0) August 1, 2018 Western Australia-based Paladin Energy has entered into a takeover bid with uranium company Summit Resources. Rio Tinto takes key step towards first ‘intelligent’ mine (0) August 1, 2018 Rio Tinto has approved $US146 million ($196 million) in preliminary funding for its first intelligent mine, the Koodaideri iron ore project in the Pilbara region, Western Australia. Restart of Century zinc mine ‘imminent’ (0) August 1, 2018 New Century Resources is on the verge of restarting the Century zinc mine in Queensland after making strong progress in July. MinRes statistics highlight reductions at Wodgina (0) August 1, 2018 Mineral Resources has produced 15.29 million wet tonnes (Mwt) of lithium and iron ore and shipped 13.21Mwt in the 2018 financial year. St Barbara adds three years to Alliance’s chartered flying agreement (0) July 31, 2018 Australian gold producer St Barbara has extended its air charter services contract to Alliance Aviation Services by a further three years. Cardinal Resources secures $25 million for Ghana gold project (0) July 31, 2018 Cardinal Resources has received a $25 million in funds from investment firm Sprott for the Namdini gold project in Ghana, West Africa. Tawana, Alliance achieve commercial lithium production at Bald Hill mine (0) July 31, 2018 Joint venture partners Tawana Resources and Alliance Mineral Assets have achieved commercial production at the Bald Hill lithium mine in the Eastern Goldfields, Western Australia. Gruyere JV increases development costs (0) July 31, 2018 Gruyere joint venture partners, Gold Fields and Gold Road Resources, have increased their forecasted capital cost for the development to $621 million. Anglo American awards $75m contract to Centurion (0) July 31, 2018 Transport and logistics provider, Centurion, has been selected by Anglo American as preferred tenderer for the provision of general transport services for its Bowen Basin operations. MACA secures contract extension at Duketon South (0) July 31, 2018 Regis Resources has awarded MACA a contract extension for open pit mining services at the Duketon South gold operations near Laverton, Western Australia. Iluka forms South Australian JV with Western Areas (0) July 31, 2018 Nickel-focused producer Western Areas has entered a farm-in and joint venture (JV) with Iluka Resources over the Western Gawler exploration area in South Australia. Kalgoorlie Super Pit JV partners reveal rock fall impact (0) July 30, 2018 The Super Pit rock falls have caused joint owner Newmont Mining to reduce its Australian gold production guidance to between 1.4 and 1.6 million ounces in 2018. Work starts at BHP’s South Flank project (0) July 30, 2018 BHP has turned the first sod at the South Flank iron project in the Pilbara, Western Australia. Core gains $US35m lithium offtake agreement (0) July 30, 2018 Lithium producer Core Exploration has signed a $US35 million ($47.3 million) prepayment and concentrate offtake agreement with Meidu Energy subsidiary, Shandong RuiFu Lithium. Hancock Prospecting makes Atlas takeover bid ‘unconditional’ (0) July 30, 2018 Hancock Prospecting has made its acquisition of Atlas Iron’s shares unconditional in an effort to push forward its all-cash takeover bid. Newmont executes JV with Nova in Tanami (0) July 30, 2018 Newmont Mining will form a joint venture with Nova Minerals at the Officer Hill gold project in the Tanami region, Northern Territory. Altura delivers first lithium concentrate at Pilgangoora (0) July 30, 2018 Altura Mining has produced the first batch of lithium concentrate from its project at Pilgangoora in the Pilbara, Western Australia. ESS 3000 Sealing System Serviceability (0) July 30, 2018 Conveyor belts are one of the most efficient methods of transporting bulk materials with a plant. However, all conveyors experience some level of fugitive material. Northern Minerals launches first heavy rare earths operation outside China (0) July 27, 2018 Northern Minerals has officially opened the Browns Range heavy rare earths pilot plant project in the East Kimberley region of Western Australia. Japanese satellites to assist positioning at WA mines (0) July 27, 2018 New satellites from the Quasi-Zenith Satellite System (QZSS) project have been found to boost positioning capabilities in Western Australia, according to research from Curtin University. BHP to sell onshore US oil and gas assets for $US10.8bn (0) July 27, 2018 BHP has entered into agreements for the sale of the Eagle Ford, Haynesville, Permian and Fayettville onshore US oil and gas assets for $US10.8 billion. Mackay businesses to receive $1.5m in government and industry METS funding (0) July 27, 2018 Minister for Jobs and Innovation Michaelia Cash has announced funding to the tune of $1.5 million for four mining business in Mackay, Queensland. Rio Tinto forms partnership to boost Pilbara businesses (0) July 26, 2018 Rio Tinto has launched a partnership with the Regional Chambers of Commerce & Industry Western Australia (RCCIWA) to support businesses in the Pilbara. Mining, resources and energy tops list of highest paid industries (0) July 26, 2018 Mining, resources and energy has placed first in a new report from employment company SEEK ranking average salaries across 28 industries in Australia. Peabody extends mine life at North Goonyella coking coal mine (0) July 26, 2018 Peabody’s North Goonyella underground coking coal mine is set to have its mine life extended to 2026. Queensland Mining Awards 2018 winners announced (0) July 26, 2018 The winners of the 2018 Queensland Mining Awards in Mackay have been announced. Komatsu launches new wheel loaders with low emission focus (0) July 26, 2018 Komatsu has launched two general purpose wheel loaders that promise to reduce fuel consumption by up to six per cent when compared with predecessors. Artemis Resources achieves strong cobalt results from Carlow Castle in the Pilbara (0) July 25, 2018 Artemis Resources is undertaking a major new base metal drilling programme at its Carlow Castle cobalt-gold-copper project in the Pilbara. First bids for MinRes Wodgina lithium sale set for next month (0) July 25, 2018 Mineral Resources expects to receive non-binding bids for the sale of up to 49 per cent of its Wodgina lithium project in Western Australia this August. Mincor pours first gold from Widgiemooltha project (0) July 25, 2018 Eastern Goldfields-based Mincor Resources has poured first gold at its 100 per cent-owned Widgiemooltha gold project in Western Australia. Pilgangoora lithium project produces first coarse concentrate (0) July 24, 2018 Pilbara Minerals has produced its first coarse concentrate from the Pilgangoora lithium-tantalum project in the Pilbara, Western Australia. MICROMINE to integrate Geobank into IMDEX logging software (0) July 24, 2018 MICROMINE will align its data management solution Geobank with IMDEX logging software to simplify and optimise the collection of data. Heron Resources receives key equipment for Woodlawn zinc-copper project (0) July 24, 2018 Heron Resources has received an equipment of advanced technology that is integral to its Woodlawn zinc-copper processing plant in New South Wales. Caterpillar and Newmont collaborate on underground automation tech (0) July 24, 2018 Caterpillar and Newmont Mining have announced a technology collaboration to improve underground hard rock autonomous vehicles. Cat dealer Hastings Deering talks the latest tech trends (0) July 24, 2018 Jason Smith, general manager for mining sales at Queensland-based Cat dealer Hastings Deering, discusses the latest equipment and technology trends with Australian Mining. Core Exploration confirms extensions at Finniss lithium project near Darwin (0) July 24, 2018 Lithium-focused aspirant Core Exploration has returned significant high-grade assay results from the Grants prospect at the Finniss lithium project near Darwin in the Northern Territory. 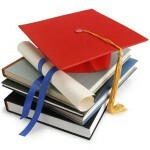 University of Queensland tops global ranking for mining and mineral education (0) July 24, 2018 The University of Queensland has topped a global subject ranking of universities when it comes to mining and mineral engineering. BHP to defend imminent class action over Samarco dam failure (0) July 23, 2018 BHP has been served a Federal Court of Victoria class action by investors over the 2015 Samarco dam disaster in Brazil. Alcoa revolutionises mine operations with drone technology (0) July 23, 2018 Alcoa continues to pioneer new ways of working with digital tools and is now utilising drone technology to perform its operations across Western Australia. Mustang reveals 22Mt maiden resource for Caula vanadium project (0) July 23, 2018 Mustang Resources has completed its maiden JORC mineral resource estimate for the Caula vanadium-graphite project in Mozambique. Battery Minerals on track for first Montepuez graphite shipment (0) July 23, 2018 Battery Minerals has released its quarterly report ending June 2018, which details the continued ramp-up of the Montepuez graphite project in Mozambique. 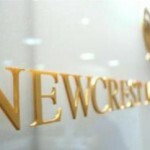 Newcrest expands exploration partnership with Encounter (0) July 23, 2018 Newcrest Mining has extended its project generation alliance with Encounter Resources by 12 months. OZ, Minotaur extend drilling campaign at Eloise copper JV for second time (0) July 23, 2018 Minotaur Exploration has extended its drilling program by 800m to 2500m at the Jericho copper system, part of the Eloise joint venture (JV) with OZ Minerals near Cloncurry, Queensland. National Transport Commission launches review to reduce driver fatigue (0) July 20, 2018 The National Transport Commission (NTC) is working with the Cooperative Research Centre for Alertness, Safety and Productivity (Alertness CRC) to better understand driver fatigue and ways to measure it. Poseidon Nickel to restart nickel operations in Kalgoorlie (0) July 20, 2018 Poseidon Nickel has completed a feasibility study confirming a restart to operations at the Silver Swan underground and Black Swan open-pit nickel mines. MinRes to complete Koolyanobbing acquisition next week (0) July 20, 2018 Mineral Resources has announced the date it expects to finalise the purchase of Cleveland-Cliffs’ Koolyanobbing iron ore operation in the Yilgarn. Northern Star streamlines environmental system across gold portfolio (0) July 20, 2018 Gold miner Northern Star Resources has introduced EHS Data’s MonitorPro environmental reporting software to the South Kalgoorlie mine in Western Australia. Rio Tinto awards Pilbara conveyor contract to Fenner Dunlop (0) July 19, 2018 Fenner Dunlop has secured a permanent contract with Rio Tinto to provide conveyor maintenance services at the Cape Lambert and Dampier Ports in Western Australia. MICROMINE to showcase software solutions at Diggers and Dealers 2018 (0) July 19, 2018 MICROMINE will be exhibiting at the 2018 Diggers and Dealers Mining Forum in Kalgoorlie, Western Australia from August 6–8. South32 posts record-high manganese output in Australia, South Africa (0) July 19, 2018 South32’s production of manganese reached a record 5.5 million wet metric tonnes (Mwmt) in the 2018 financial year, a 10 per cent year-on-year increase. Woodside CEO praises Wheatstone 2 ramp up (0) July 19, 2018 Woodside Petroleum chief executive officer Peter Coleman has cited the start of liquefied natural gas (LNG) production from Wheatstone Train 2 in Western Australia as its June quarter highlight. Evolution continues gold production, cost guidance streak (0) July 19, 2018 Gold miner Evolution Mining has achieved its production and cost guidance targets for the seventh consecutive year. Swift secures entertainment contracts at Australian resources sites (0) July 19, 2018 Swift Networks has won multiple contracts to provide its suite of entertainment and connectivity services to new and existing resources industry sites across Australia. Mining, resources and energy take top spot for jobs growth (0) July 19, 2018 Employment portal SEEK has released a report showing that the mining, resources and energy industry has taken pole position for annual job growth over the past year. OZ Minerals keeps Carrapateena on track (0) July 19, 2018 OZ Minerals’ development of the Carrapateena copper-gold project in South Australia is taking shape as planned. BHP awards $176m South Flank contract to NRW (0) July 18, 2018 NRW Holdings has won a $176 million contract to provide bulk earthworks and concrete works at BHP’s South Flank iron ore project in the Pilbara, Western Australia. Mining jobs grow for 13th month in a row, big gains for WA (0) July 18, 2018 A DFP Resources report detailing mining market statistics for June 2018 has revealed job growth in the Australian mining industry has risen for the 13th consecutive month. Saracen Mineral increases gold guidance after record production (0) July 18, 2018 Gold miner Saracen Mineral Holdings enjoyed a record production of 316,453oz in the 2018 financial year. The company exceeded its guidance of 310,000-315,000oz, lifted from its original guidance of 300,000oz. 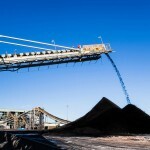 BHP sets iron ore, metallurgical coal records (0) July 18, 2018 BHP has hit an iron ore production record in the 2018 financial year, improving its output by 3 per cent. Adani chairman’s son claims Carmichael mine funded (0) July 18, 2018 India’s Adani has reportedly completed financing of the Carmichael coal mine and is close to securing funds for the rail component of the project. Australian Opposition criticised for labour hire reform proposal (0) July 18, 2018 Labor Party plans to introduce new labour hire (temp) licensing regulations have been shot down by mining advocates as unfair to workers in the resources sector. Northern Star continues production growth, tripling cashflow (0) July 18, 2018 Northern Star Resources’ cashflow has surged in the June quarter as the company’s organic growth strategy in Western Australia’s Goldfields has come to fruition. Southern Cross awarded contracts at CITIC and Arrow projects (0) July 18, 2018 Southern Cross Electrical Engineering (SCEE) has won resources contracts in Queensland and Western Australia, including at Arrow Energy’s gas projects and CITIC Pacific Mining’s Sino Iron project. Mustang Resources to merge ruby assets with Fura Gems for $10m (0) July 17, 2018 Mustang Resources has entered into a merger agreement with Toronto- and Dubai-based Fura Gems, a new gemstone mining company with emerald and ruby assets in Mozambique and Colombia. 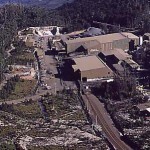 Hellyer revival to boost Tasmanian mining (0) July 17, 2018 Hellyer Gold Mines is set to add life to the Hellyer operation in Tasmania by reprocessing tailings from previous operations. Australian LNG exports surge to nearly 60Mt in 2017–18 (0) July 17, 2018 Australian liquefied natural gas (LNG) exports have surged by 18.5 per cent to 59.7 million tonnes (Mt) in the 2017–18 financial year, a year-over-year (YoY) gain of 9.3Mt. Laramide to acquire uranium asset from Rio Tinto (0) July 17, 2018 Canadian uranium company Laramide Resources has made a deal with Rio Tinto to acquire the Murphy uranium tenements in the Northern Territory. Panoramic approves Savannah restart (0) July 17, 2018 Panoramic Resources plans to ship first concentrate from the Savannah nickel-copper-cobalt project in Western Australia in first quarter 2019. SIMPEC awarded another contract at Talison lithium mine (0) July 17, 2018 WestStar-owned construction company SIMPEC has received a contract from MSP Engineering for works at Talison’s Greenbushes lithium operations in Western Australia. Rio Tinto iron ore exports rise as higher costs emerge (0) July 17, 2018 Rio Tinto is on track to hit the upper part of its Pilbara iron ore guidance in 2018 after a strong end to the first half of the year. Atlas Iron urges investors to accept Hancock takeover (0) July 16, 2018 Atlas Iron’s directors have unanimously recommended shareholders accept Hancock Prospecting subsidiary Redstone Corporation’s $390 million takeover offer in a company target statement. Downer wins long-term maintenance contract (0) July 16, 2018 Chevron has awarded Downer EDI a five-year contract to provide maintenance and support services at its Western Australian operations. Surging thermal coal sector boosts Whitehaven (0) July 16, 2018 Whitehaven Coal is well placed to deliver record fiscal performance in the 2018 financial year as thermal coal prices have reached seven-year highs. GAP Geo launches ‘true 3D’ survey system through Dias JV (0) July 16, 2018 Queensland-based GAP Geophysics (GAP Geo) has introduced a new survey technology through a joint venture with Dias Geophysical. Beadell leaders move on, new Tucano contract signed (0) July 16, 2018 Beadell Resources chief executive and managing director Simon Jackson, along with two directors, has stepped down from his position as the Brazil-focused company tries to improve its operating performance. Peabody to trial process and wastewater tech at North Goonyella (0) July 16, 2018 Chemical company Science Developments (SciDev) has revealed that the site of its OptiFlox process and wastewater treatment trial announced on July 11 is Peabody’s North Goonyella mine in Queensland. Valmec locks in gas, infrastructure contracts (0) July 16, 2018 Valmec has won new services and construction contracts in the gas and infrastructure sectors worth more than $14 million. Resolute secures $US100m for growth opportunities (0) July 16, 2018 Gold miner Resolute Mining has established a $US100 million ($135 million) revolving loan facility with Investec Australia. Seaco containers efficiently guide miners from pit to port (0) July 16, 2018 The container leasing company has added value to various industries over the past 50 years. Now, it is targeting growth in this regard with mining companies. Australian Mining writes. Australian Government representatives to meet with industry at QME 2018 (0) July 16, 2018 The Queensland Mining and Engineering Exhibition (QME) 2018 has today announced the attendance of several Australian Government representatives, reaffirming the importance of the sector to the Australian economy. Red River awards PYBAR contract extension for West 45 mine (0) July 13, 2018 Red River Resources has awarded PYBAR Mining Services an extension to its contract for the West 45 underground zinc-lead mine. MinRes-Hexagon JV starts feasibility study at McIntosh (0) July 13, 2018 Mineral Resources and Hexagon Resources have launched a feasibility study at their McIntosh graphite joint venture in the East Kimberley, Western Australia. Rio Tinto delivers first iron ore with ‘world’s largest robot’ (0) July 13, 2018 Rio Tinto’s AutoHaul project in the Pilbara is another step closer to completion after the first delivery of iron ore by an autonomous train this week. Bathurst closes JV deal on Jameson Resources’ coal project in Canada (0) July 13, 2018 Bathurst Resources has executed a joint venture deal with Perth-based Jameson Resources to finance the development of the Crown Mountain coking coal project in Canada. Rio Tinto secures $4.7bn Grasberg deal (0) July 13, 2018 Rio Tinto has agreed to sell its interest in the Grasberg copper-gold mine in Indonesia to state-owned PT Indonesia Asahan Aluminium for $US3.5 billion ($4.7 billion). Rio Tinto reveals Argyle mine’s largest vivid pink diamond (0) July 13, 2018 Rio Tinto has unveiled the largest vivid pink diamond in the 84-year history of its Argyle Pink Diamonds Tender during a world exclusive preview in Sydney. Thiess wins $112m OZ Minerals contract at Prominent Hill (0) July 12, 2018 Thiess has strengthened a relationship with OZ Minerals through a $112 million contract to provide stockpile rehandle services at the Prominent Hill copper-gold mine in South Australia. Kirkland Lake delivers record first-half gold production, Fosterville up 21% for quarter (0) July 12, 2018 Kirkland Lake Gold has reported record first-half production and strong results from its flagship Fosterville mine in Victoria in its latest quarterly update. New Century Resources revamps 304km pipeline for first production (0) July 12, 2018 New Century Resources has completed commissioning of the 304km slurry concentrate pipeline for its Century mine in Queensland. 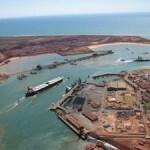 Pilbara Ports Authority achieves record year (0) July 12, 2018 Pilbara Ports Authority (PPA) has delivered record annual throughput in the 2017-18 financial year. Hotspots for mining jobs (0) July 12, 2018 Optimism for job seekers in Australia’s mining industry has gradually increased for around two years now. The rising buoyancy has been reflected in research by recruitment agency Hays. Auroch awards South Australian contracts to DDH1 (0) July 12, 2018 Base metals explorer Auroch Minerals has appointed DDH1 Drilling to undertake aggressive maiden drilling programs at the Arden and Bonaventura projects in South Australia. Loadscan’s guide to optimising payloads (0) July 12, 2018 Loadscan explains how mining companies can know if their hauling activities are as productive as they should be. Qteq secures NT jobs with expansion contract (0) July 11, 2018 Following on from the acquisition of Surtech Systems and WellServ announced in May, georesources-focused Qteq has secured a contract for environmental logging in the Northern Territory. OptiFlox chemistry deployed for Phoenix Process trial in Bowen Basin (0) July 11, 2018 SciDev’s OptiFlox polymer system designed for process water and wastewater treatment is being trialled at a major coking coal site in the Northern Bowen Basin, Queensland. Dacian fast tracks Mt Morgans with $37m raising (0) July 11, 2018 Dacian Gold plans to raise $37 million to accelerate its exploration programs at the Westralia and Cameron Well projects at the Mt Morgans gold operation in Western Australia. Phoenix Contact delivers better safety cover with five-year warranty (0) July 11, 2018 Customers of Phoenix Contact can now extend the warranty of their power supplies products to five years, when they install a surge protection device with the products. Alpha Fine Chemicals to build new high-tech nickel plant in WA (0) July 11, 2018 Nickel producer Alpha Fine Chemicals (AFC) is set to build and operate a nickel sulphate plant at Kwinana south of Perth in Western Australia. Lucapa spree of 100ct Lulo diamonds continues (0) July 11, 2018 Lucapa Diamond Company has recovered the 11th diamond in excess of 100ct at the Lulo diamond project in Angola, Africa. Resolute adds three years to Ravenswood mine life (0) July 11, 2018 Resolute Mining has extended the mine life of the Ravenswood gold operation in Queensland by three years through a mine expansion project. Flexco transfers productivity increases with FlowFirst design (0) July 11, 2018 Flexco uses the Tasman Warajay Technology to deliver operational improvements for mining companies requiring transfer chute replacements. Regis Resources posts another gold production record (0) July 10, 2018 Regis Resources has hit record annual production at the Duketon operation in Western Australia during the 2018 financial year. Sandvik strengthens i-series range with latest loader (0) July 10, 2018 Sandvik has introduced the LH517i intelligent loader with a design that aims to meet customer expectations by being safer, more reliable and efficient. Mine solution Pitram upgrades software performance (0) July 10, 2018 MICROMINE has released Pitram 4.10, the updated fleet management and mine solution that assists in recording, managing and processing mine site data in near real-time. BHP gains EPA nod for up to 100 years of Pilbara operations (0) July 10, 2018 Mining giant BHP has received a recommendation of approval for the next 50 to 100 years of Pilbara mining operations from the Environmental Protection Authority (EPA). 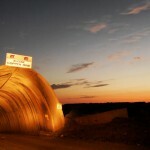 Denham Capital closes first mining fund at $US558 million (0) July 10, 2018 Private equity firm Denham Capital has closed its first stand-alone mining fund, topping out at $558 million from global institutional investors. Komatsu launches updated production loaders (0) July 10, 2018 Equipment manufacturer Komatsu has released upgraded low-emission Tier 4 engine-powered versions of its WA500 and WA600 production loaders. Whitehaven to use Hitachi automation system at NSW coal operation (0) July 10, 2018 Whitehaven Coal is collaborating with Hitachi to design and introduce an Autonomous Haulage System (AHS) to support its mines in north-west New South Wales. Sandfire Resources, Talisman Mining delay $72m Springfield acquisition (0) July 9, 2018 Joint venture partners Sandfire Resources and Talisman Mining are extending the execution of their deal for the Springfield copper-gold project by another week. Mincor to treat 40,000t maiden ore at Widgiemooltha (0) July 9, 2018 Mincor Resources has treated its first ore parcel from the Widgiemooltha gold project, which is one the verge of starting. Independence output at Nova hit by SAG mill issue (0) July 9, 2018 Independence Group (IGO) has narrowly missed guidance in the first year of production at the Nova mine in Western Australia due to a SAG mill issue last month. 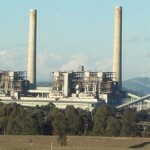 Yancoal stands down 205 employees at Austar coal mine (0) July 9, 2018 Yancoal hopes to redeploy the majority its 205-strong workforce at the Austar coal mine after today starting a process to halt operations at the New South Wales site. BP front-runner to buy BHP oil and gas operations after $US10bn bid (0) July 9, 2018 BP has emerged as the front-runner to buy BHP’s US shale assets after submitting a bid of over $US10 billion ($13.5 billion). BHP awards South Flank work to SIMPEC (0) July 9, 2018 SIMPEC has been awarded a second order with BHP at the South Flank iron ore project in the Pilbara, Western Australia. Dacian hits production target at Mt Morgans gold mine (0) July 6, 2018 WA-based gold producer Dacian Gold has achieved its June 2018 quarter production target, when it confirmed its 34,155 ounces (oz) production at the Mt Morgans operation in Western Australia. Engineering group DRA to expand Australian footprint with G&S acquisition (0) July 6, 2018 Global engineering firm DRA Group will significantly expand its Australian presence with the acquisition of Queensland-based G&S Engineering from Calibre Group. PYBAR awarded contract for Red River’s Thalanga mine in QLD (0) July 6, 2018 PYBAR Mining Services has been awarded an underground mining contract to operate Red River’s Far West deposit, part of its Thalanga zinc operation in northern Queensland. Epiroc releases high-capacity Minetruck MT2200 (0) July 6, 2018 Epiroc is rolling out the Minetruck MT2200, which has been developed to boost underground haulage capacity and efficiency of global mining operations. AngloGold Ashanti selects MineSuite for Sunrise Dam (0) July 5, 2018 AngloGold Ashanti will use MinLog’s MineSuite system to provide an underground mine management system at the Sunrise Dam operation in Western Australia. Nautilus contractor MAC loses shipbuilding contract (0) July 5, 2018 Nautilus Minerals has announced that a shipbuilding contract between contractor Marine Assets Corporation (MAC) and shipyard Fujian Mawei Shipbuilding has been rescinded. METS Ignited awards more cash to supply companies (0) July 5, 2018 Eight mining equipment, technology and services (METS) companies have received a total of $7.14 million from the Department of Industry, Innovation and Science to tackle METS sector priorities. Australian Vanadium modifies Gabanintha resource, adds cobalt estimate (0) July 5, 2018 Australian Vanadium (AVL) has updated its mineral resource at the Gabanintha vanadium project in Western Australia with details of a high-grade zone and an emerging cobalt focus. CSIRO scanner to significantly reduce copper waste (0) July 5, 2018 A new development from the Commonwealth Scientific and Industrial Research Organisation (CSIRO) could significantly reduce copper waste. 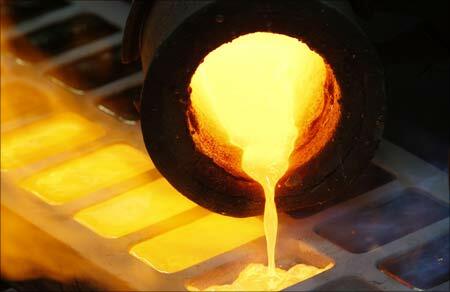 Perseus delivers record gold production (0) July 5, 2018 Perseus Mining’s transformation into a multi-mine West African gold company has gone to plan so far in 2018.